Does your company meet today’s customers’ high standards? Empowered consumers expect relevant, highly personalized customer experiences. 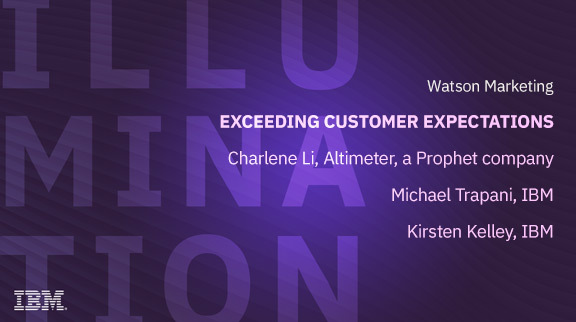 Come join us for a webinar hosted by Charlene Li, Principal Analyst at Altimeter, LinkedIn Influencer, and New York Times Best-Selling Author and learn how to recognize consumer preferences and turn your consumer insights into personalized marketing campaigns. Learn how to lead your company to success by crafting brand engagements that are in tune with your customers’ needs and not only meet, but exceed their expectations.